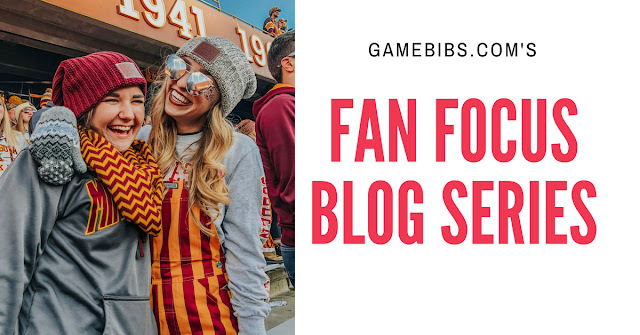 Next up in our blog posts focusing on our bib-wearing fans is Emma from Minnesota! 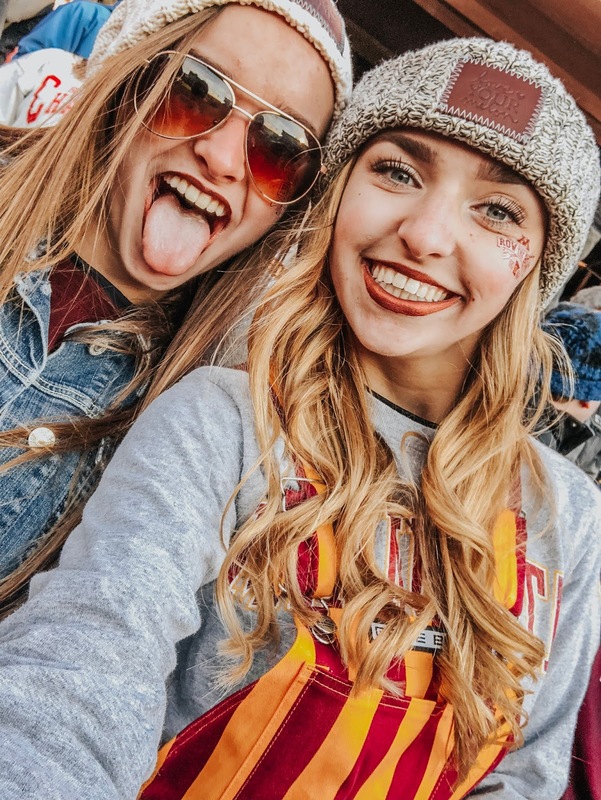 Emma rocks her maroon & gold Game Bibs for every Golden Gopher game (they call them Gopheralls) along with the necessary mittens and beanie, and she was kind enough to answer a few questions for us. I bought my first pair of Game Bibs freshmen year of college! It’s always a tradition for me to meet up with my friends, head to the tailgates, and show our spirit for our team! My college plays their fight song before a football game and it signals the start of a great game! My Game Bibs, my phone, and a Chipotle burrito. Favorite memory with my Game Bibs is always the first game of every year and meeting up with all my friends cheering on our team. I think It would be awesome to have a sports bra in the same colored stripes as my bibs! Watching the US women’s soccer team play. I already have plans with my friends to get together and make shirts for game days! The Sandlot is always a classic! Thanks again, Emma! Do you want to be featured in one of our Fan Focus blogs? Drop us a line on Facebook or Instagram and we'll be in touch!